The claim of negligence is the basis of many personal injury lawsuits. 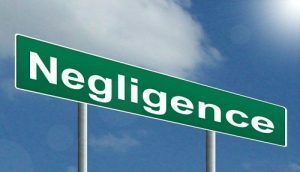 Negligence lawyers who thoroughly understand the tenants of negligence law are an asset to any person who has suffered an injury as a result of someone else’s carelessness. To prove a negligence claim, typically three factors must be present. There must be a duty of care. This has a wide variety of interpretations, but the basic premise is that, when taking actions that could foreseeably cause harm to others, the person taking those actions has a duty to minimize the potential harm to other people who do not consent to that risk. For example, if you are operating a power tool, you have a duty to ensure that the power tool does not harm other people in the immediate vicinity. The duty of care must be breached. It is important to note that this is contingent on the first criteria; if there is no duty, then the duty cannot be breached. A duty of care is breached when a person fails to reasonably reduce the risk to others who have not consent to that risk. If, while using a power tool, you fail to exercise reasonable care and leave the tool running on a table, you more than likely have breached your duty of care. The injury must be a direct cause of the breach. Simply being injured is not enough; the defendant’s breach of duty must be what causes your injury. In the example of the power tool, if it was left running on a table, fell off, shattered, and caused an injury to someone else, your breach of duty was the direct cause of his or her injury and you could be held liable for negligence. Over the course of a lifetime, people can reasonably expect to suffer minor bumps, bruises, and cuts caused by various accidents. These minor injuries are often the result of clumsiness, distraction, or other events that are unforeseen and are not anyone’s fault but the injured party. In some cases, however, persons may suffer injuries in an accident that reasonably should not have occurred and were caused by another person’s negligence. If you have been injured in an accident caused by the reckless, negligent, or careless behavior of an individual, group, or company, you may be eligible for compensation for your pain, suffering, medical expenses, and other damages. The New York City negligence lawyers of The Orlow Firm want to make sure you understand the concepts surrounding negligence and personal injury claims and are happy to bring you the following information to help you understand your legal options. In addition to identifying the actions of the individuals involved and what reasonable behavior should be, personal injury cases often rely on proving that the defendant had a specific “duty” to the injured party. This duty may have been the responsibility to provide a safe environment, to keep premises clean and free of hazards, or to behave in a safe manner. Cases involving personal injury claims often revolve around determining what happened, how the injury occurred, what duty the defendant had to the injured party, and how the defendant may have failed in that duty. If you have been injured in an accident caused by another person’s negligence, it may be wise to consult an experienced New York City negligence lawyers of The Orlow Firm. Occasionally, ordinary negligence claims may not be enough to warrant compensation for personal injuries. If a person engages in a recognizably risky activity or signs a waiver recognizing potential hazards and dangers, he or she may not be able to pursue an ordinary negligence claim against the individual or company in charge. In some cases, however, waivers may not be enough to prevent the defendant from liability in the event of an accident. If a person or company displays a reckless indifference or allows significantly unsafe conditions to exist, he or she may be charged with “gross indifference”. In certain circumstances, personal safety waivers may not be enough to protect the defendant from claims of gross negligence. Persons who are injured due to the reckless behavior of another individual should make sure to consult an experienced attorney to discuss the details of their case. Although some injuries may require lengthy medical treatment and rehabilitation and injured parties may not be able to explore their legal options until their recovery has been completed, it is important to remember that personal injury lawsuits are often subject to a statute of limitations. The statute of limitations for filing personal injury lawsuits often vary from state-to-state, so it is important to consult an experienced attorney for more information. Most states will require that a case be pursued within 2-3 years of the event that caused the injury. Failure to do so within the required time limit will typically result in the dismissal of the personal injury claim. Contact NYC Negligence Lawyers Today! For more information on negligence and personal injury claims, contact the New York City negligence lawyers of The Orlow Firm.